Food Wishes Video Recipes: Happy Blueberry Month! Did you know that July was National Blueberry Month? Unless you happen to work for the blueberry industry, or food blog for a living, you probably didn’t. So, what happens with blueberries this month, that doesn’t happen in June or August? Not much, as far as I can tell, but it does give people like me an excuse to re-post a video like this “Too Many” Blueberry Muffins recipe. If you’d like to read the full post, and get the ingredients, just follow this link. Enjoy! Did I miss what you did with the vegetable oil listed in the ingredients? Check vid, added with egg. Enjoy! What say we get together a fund to buy CJ an new hand mixer? HEY! We could have a bake sale! ...thanks for the recipe Chef. It will be perfect for my mother-in-law visit!! My husband and I love your videos. 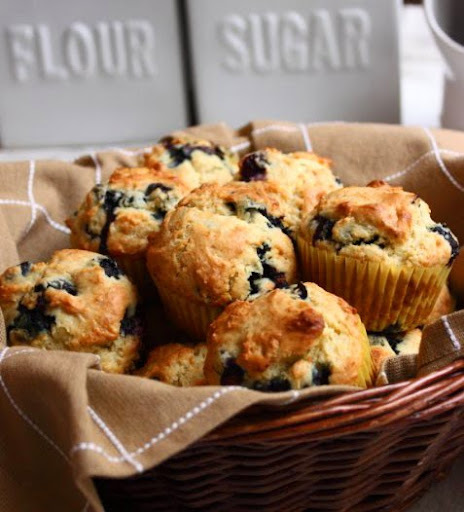 Thanks for the great recipe for blueberry muffins. I just made them and they look great. I really appreciate you helping me learn about cooking more in-depth that what I was taught. My parents do too. Thanks again. I look forward to all of your future videos. P.S. I wish I could send you a picture. They look almost as good as yours.